Yesterday I wrote about the harrowing and mostly true account, Schindler's List. Today I'm writing about a film set in the same period that does the complete opposite. Tarantino manages to mock Nazi ideology and the liberal sense of self-righteousness at the same time whilst showing complete and wilfull disregard for the facts of history. Inglourious Basterds is a 2009 historical fiction film directed by Quentin Tarantino and starring an ensemble cast featuring Brad Pitt, Christoph Waltz, Eli Roth, Michael Fassbender, Diane Kruger, Melanie Laurent, Jacky Ido and Daniel Bruhl. The film has several threads which intertwine. Lt Aldo Raine (Pitt) is leading a taskforce of Jewish-American soldiers behind enemy lines in Nazi-occupied France, wiping out various Nazi command posts. Meanwhile, Shossana (Laurent) having escaped from the notorious 'Jew hunter' Hans Landa (Waltz) is running a Parisian cinema, keeping her Jewish roots secret when she attracts the attention of Nazi hero and film star Freidrich Zoller (Bruhl). Zoller convinces the German high command to hold the premiere of his film at Shossana's cinema and so Raine and Shossana independently formulate plans to assassinate the attending officers, while the British send their own man (Fassbender) to do the same. 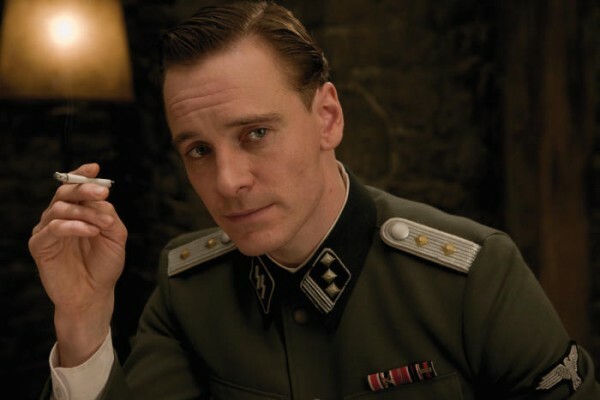 One of the first things that jumped out at me in realising that Inglourious Basterds was such a good film was that it was popular with English speaking audiences, and yet most of the film is in other languages with English subtitles. It's certainly something I appreciate that Tarantino got everyone speaking to each other in their native languages rather than speaking in accented English, and it seems to have paid off. 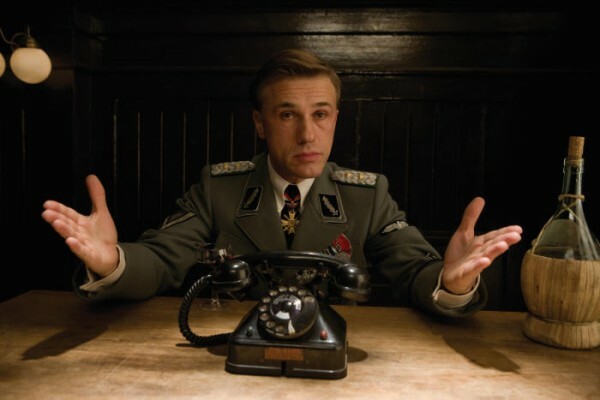 Tarantino had allegedly nearly given up on finding a German actor to play Hans Landa until Christoph Waltz well, waltzed into the room. Waltz is an incredible find, his charismatic, charming yet ultimately devastatingly dangerous performance earned him an Oscar, and it's no surprise to see why. Every scene he is in, his presence commands the attention of the room and the audience. With this film, Tarantino proved he can be masterfully suspenseful. The opening scene of Inglourious Basterds is perhaps the best opening scene in cinema history. Landa questions a French family on the whereabouts of a Jewish family, revealed to be hiding beneath the floorboards. The tension in the scene creeps higher and when we see the hiding family it has the Hitchcock-esque effect of showing a bomb about to detonate. The later bar scene in which Hicox (Fassbender) and Bridgit (Kruger) try to hide that they are double agents is similarly suspenseful, the reveal coming when Hicox signals the number three with three fingers instead of a thumb and two fingers, showing that he did not grow up in Germany. The English-speaking audience would not realise this was what happened initially, but Tarantino changes the mood of the room expertly, so that they know something has gone wrong. On a side note, the 'German' three, as the film calls it, is actually a more general European way to signal three, but not the English way. Being Irish myself, and having spent a fair bit of time growing up in Europe, I usually use the European three and noticed what had happened immediately. If you're not used to it, the English three looks really strange. The classic Tarantino ultraviolence actually has a message for the audience in this film as well. The director is exploring why his audiences applaud and love his ultraviolence, yet abhor and act appauled by real-life instances of it, such as those commited by the Nazis. He mocks our own sense of self-righteousness in feeling as though we can comment on these matters when there is the potential within all of us to descend to such standards. Inglourious Basterds became notorious for departing from historical fact in a big way at the ending. I won't spoil it in case you haven't watched it, but Tarantino shows us no topic is off-limits and if it serves a good story, why can't its history be different from ours? If you're tired of seeing the Great Escape every Boxing Day and want a WWII film with fast-paced thrills and almost unbearable tension; Inglourious Basterds is a film you have to watch this Christmas.